Telegram Voice Calls are live, but only in Europe at the moment. The feature, which has apparently been internally tested for a few months, will be rolled out globally soon. On iOS devices, Telegram will offer to place a separate tab for calls, when you make a call for the first time. The call tab is available from the pull out menu from the left corner. All profile pages will have a phone icon, once the Voice calls feature is rolled out to your Country. The three dot menu in every conversation, can also be used to make calls to the user, but again, this is exclusive to Android users too. 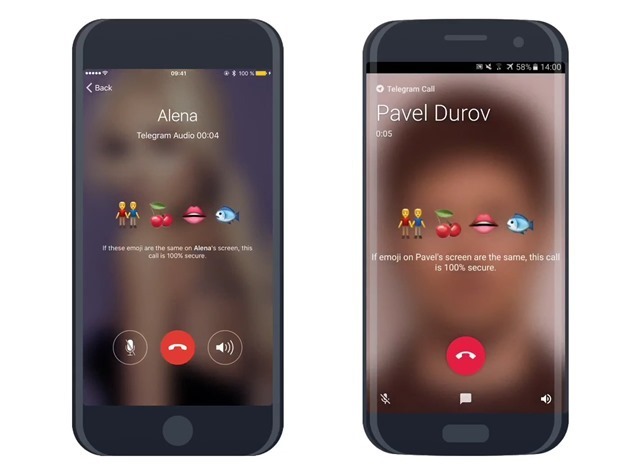 The voice call UI looks like the one featured above, and the calls will use the same end-to-end encryption, that Telegram's Secret Chats use. An odd feature of Telegram Voice Calls, is that the call UI displays 4 random emojis during a call, and if the same set of emojis are on the screen of the contact you are calling, that means the call is encrypted. Else, the call isn’t encrypted. Calls made in Telegram are made using a peer-to-peer connection when possible which uses the best audio codecs for the best quality. If a P2P connection can’t be made, the calls will be routed via the nearest server. Telegram uses a machine learning AI, which uses a neural network to learn about your network speed, ping times, packet loss percentage, etc, and helps in improving the quality of future calls, on the device.Calls made in Telegram will use less data depending on the quality of your network, and will work on Wi-Fi and mobile data. A setting can be enabled to save data at the cost of 25-30% of sound quality. 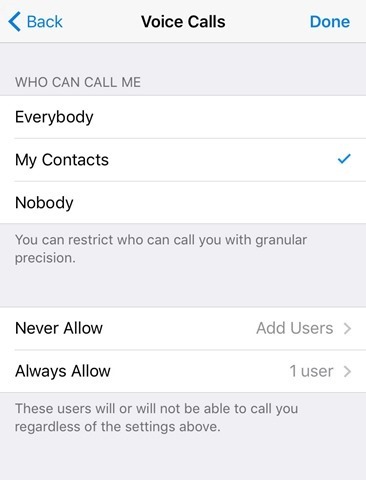 Telegram is offering a level of privacy, by allowing you to block users from calling you, and if you don’t want to use the feature at all, you can switch off voice calls entirely. 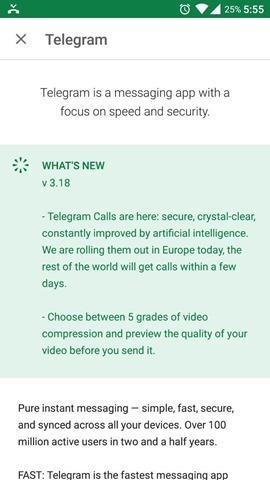 The Google Play store change log of the Telegram app says that the voice call feature will be rolled out to the rest of the world in a few days. 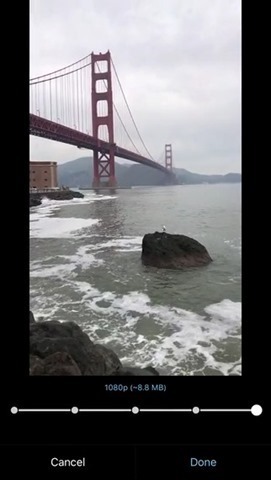 Telegram now allows you to choose the video compression level, when you share a video. The higher the compression, the lower the video quality. This setting will be remembered by the app, the next time you share a video.